Picture of Today 1/3/2017, Horseshoe Bay to Nowhere.. Above is on a ferry north in West Vancouver, leaving the Horsehoe Bay to Nanaimo Bay, in British Columbia, Canada. And there, was on a two hour trip later than planned, and not feeling well. So much so, that I cancelled my plans and heading back on the same ferry boat shortly after. The totally hours spent riding the ferry was about four hours. None quite wasted, as I felt rested and away from the troubles of life in that time. I tried writing, but not much done. Sickness is bad, bah. But what I do have are some fun pics and notations the days before in the Vancouver area , including the New Years weekend. I will try sharing that soon. But in the meantime, enjoy whatever tranquility around, even when inconvenient. 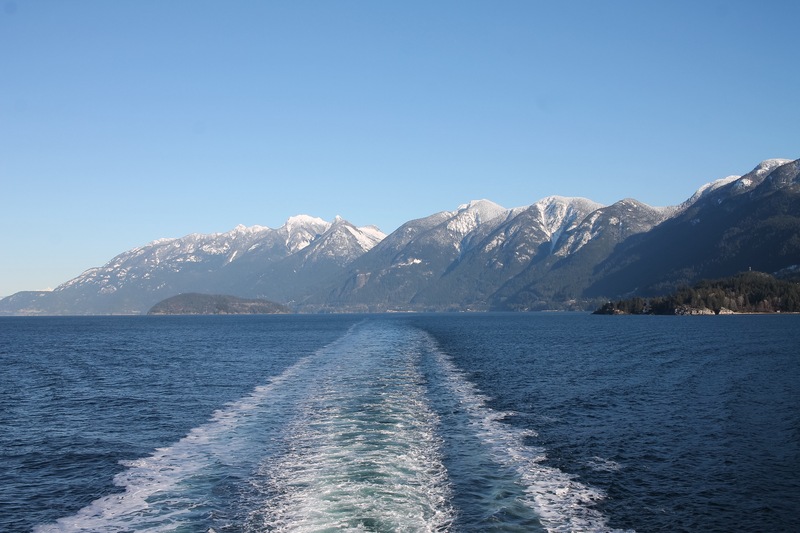 Posted on January 3, 2017 by Orion T.	This entry was posted in Photography, Reflections, Travel and tagged bc, canada, ferry boats, mountians, travel, Vancouver. Bookmark the permalink. ← Picture of Today 12/29/16, Holiday Leftovers..
With blessings and prayers for you to feel better and in the meantime, enjoy the tranquility. Pace yourself, drink liquids and get enough daylight and Vitamin D. I am praying for you.